If you look around at most birthday parties, the party host is often nowhere to be found. You may catch a glimpse of them running to resupply the ice or welcome a new guest to the event, but most of the time they are busy averting a major party disaster. Often times, when the party is over, the parents are left thinking “well that was a success!” more so than thinking how wonderful it was to enjoy the guests while celebrating their child. Merely getting through the birthday party and deeming it “a success” shouldn’t be the end goal! 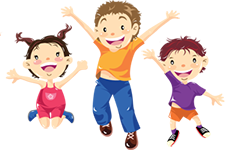 Run Jump-n-Play can help you not only throw the most successful birthday party you have ever hosted, but will also enable you to relax, laugh with the guests and watch your birthday child have their special moment. With our Pirate Birthday Parties, your little boy can dress up like the coolest character he knows and live out his dream with his pirate crew of friends. Instead of you worrying about coordinating matching plates, cups and decorations, you can focus on taking over other people’s ships and stealing some pretend treasure! And arguably the best part of the entire day is the disastrous and catastrophic chaos that these crazy pirates leave behind, you don’t have to clean it up! Our multiple swing sets on our giant indoor playground as well as our state-of-the-art inflatable arenas basically create a pirate themed party without even trying. Conquer the ocean by defeating a mammoth shark on our infamous “shark slide”, be the most courageous pirate on the seas in a huge obstacle course filled with barriers and hurdles that only pirates can defeat. You can even offer a special prize to the guest who wears the best pirate costume to get all of the birthday child’s friends involved in the dress up. Hosting a Pirate Themed birthday party at Run Jump-n-Play is truly effortless, and your child and his friends are sure to have an absolute blast. If you don’t believe it, come check our our facility during open play hours. When Run Jump-n-Play is open, our giant indoor playground is ready to be explored. With over 10 playsets, complete with slides, tunnels, bridges, swings and more, you can easily spend several hours in just this part of our building alone. Refer to our calendar for our inflatable open play hours. Once you and your family steps foot in our two inflatable arenas during open play, you will understand how a pirate themed birthday party can come to fruition so easily. It really is the ideal venue for a bunch of creative and energetic pirates to take over!